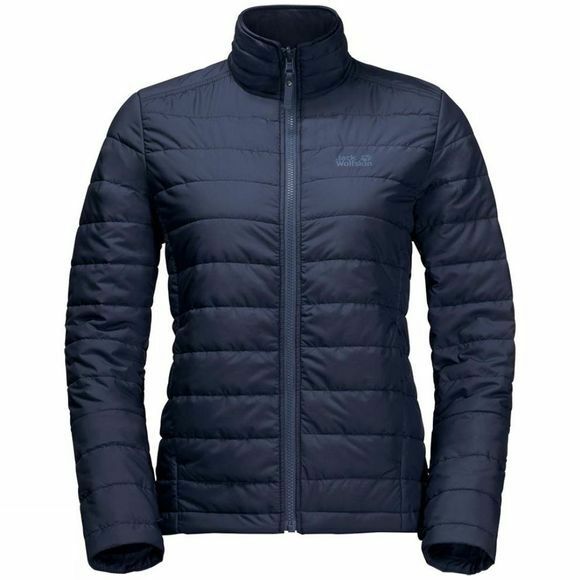 The Womens Tallberg Jacket from Jack Wolfskin is the ideal choice for both very cold Winter days and sprIng and autumn wear.The waterproof Texapore outer Jacket has a Light synthetic fibre fill and will keep you warm and dry In rainy, autumnal weather. The High collar is a real asset In Windy conditions. In milder weather, you can wear the outer Jacket on its own. Simply unzip the system zip, remove the Inner Jacket and you're good to go.The Inner Jacket is also great to wear on its own. 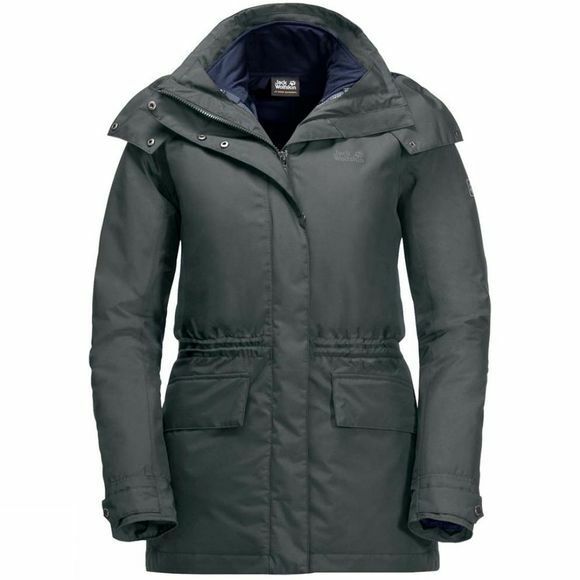 It is warmly Insulated and Shields you from Light Wind. Zip them together agaIn and the two Jackets make a really warm Winter combo.Forgotten your Gloves? No problem. The large, Fleece lined flap pockets will keep your hands warm even without Gloves. The waist draw cord on the Tallberg can be cInched In to give a snug, trim fit.